Nandita de Souza is a developmental and behavioral pediatrician who has been working exclusively in the field of child and family mental health for the last 25 years. She attained her MBBS degree from Goa Medical College in 1983 and then specialized in Pediatrics in 1986. She worked as the Senior Pediatrician at Hospicio Hospital for 2 years before quitting Government service to start her own practice devoted to the developmental and behavioral aspects of child health. 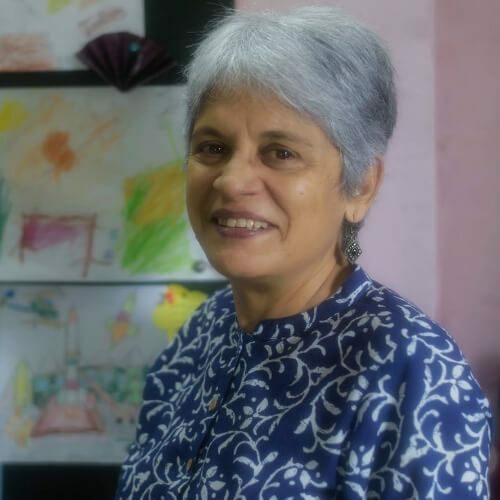 Since 2005, Nandita has been the Director of the Sethu Centre for Child Development & Family Guidance, a charitable trust working in the field of child mental health and disability. Sethu’s mission is to be a bridge between children and their families, schools and communities to foster their development to its full potential. Nandita believes that we can create a just society where all children can live and learn together. Parents, teachers and all carers of children must be supported in their role as builders of the next generation and can do a great deal to make this world a better place for all its children.